The Sierra earrings are made for total island dreaming. 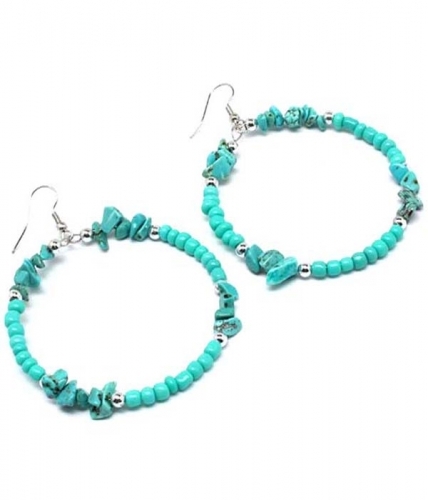 A classic hoop design on french hooks adorned with brilliant turquoise beading and silver accents. Wear them by the poolside or when ordering Mojito's. Buy this gorgeous pair of trendy earrings and add them to your collection of fashion accessorys today.